Mountain Climbing and Abseiling provide participants with a multi-layered experience within the experiential learning environment. The individual learns to work independently, be patient and understand that sometimes you need several attempts to succeed. In the group environment, the individual learns to be considered towards younger or weaker members. The learning experience is that it is much easier to tackle and obstacle together. Already during the briefing through an experienced coach, the participants learn about the importance of carefully working. 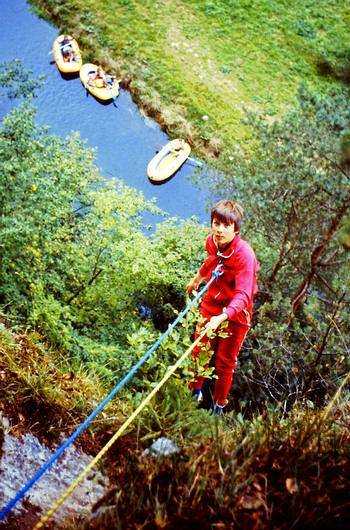 If you are not careful with the safety requirements on the Ferrata, nasty accidents are almost inevitable. This becomes exponentially worse if you climb as part of a team. Your carelessness could jeopardize the entire group. 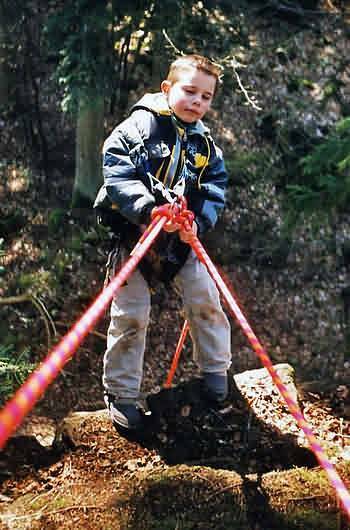 This gets only more complicated as it is not always possible for the coach to intervene on the Ferrata. The patience of the participants can already be put to the test during the preparation. They reason be, the young people are only allowed on the Ferrata until every single move is internalized to ensure, in standard situations the participants are not endangered. 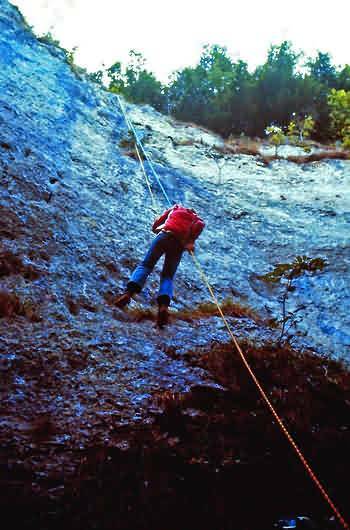 As with the proper mountaineering, on the Ferrata the group is only as strong as its weakest member. It is paramount for the young people to understand without any doubt that they have to support each other in every situation and whenever required. 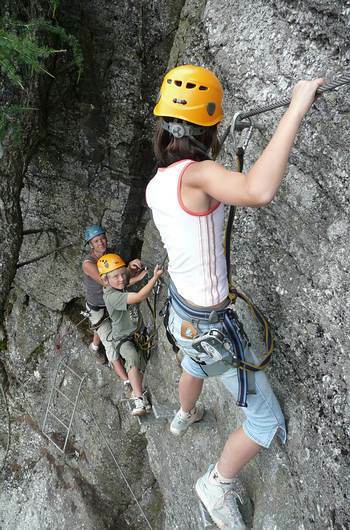 The participants learn that on the Ferrata in a direct and immediate manner. Finally, they will learn and appreciate how important help can be if you get stuck in a situation where you can’t get out left on your own. The consideration for weaker children is learned directly and immediately. In case, an older or stronger kid hassles another child, who is not as quick or skilled, this only leads to one thing: the slower kid gets nervous. This increases the possibility of making mistakes and, of course, cannot just endanger that particular kid, but the entire group. If small incidents like the one mentioned above happen at the beginning of the trip, in easier passages of the track, then, if possible at all, the youth worker should not mediate. At this stage, there is still the possibility for the kids to learn from their mistakes. This, of course, is only possible as long as nobody is in real danger. Any initial conflicts should smooth out as the adventure continues. Are there any differences between the Ferrata and abseiling adventures? From the experiential education’s point of view, there are no differences in its objectives. The only difference is that abseiling takes more skills and power from sides of the participants than abseiling, where they do not have to push against gravity. For whom is the Ferrata and abseiling suitable? Joint actions are particularly suitable for older children. The reason: The participants should be able to assess a possible hazard, which potentially arises from their actions. However, they are only able to that from about third grade upwards. Another important factor: Participants should be reasonable skills and also need a certain amount of physical strength. The latter is especially true when it comes to abseiling. Situations can arise where the weight of the participant entirely depends on the strength of the kid’s arms.